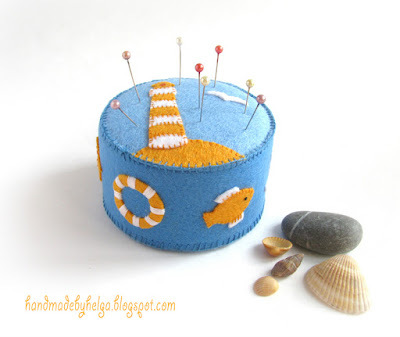 Important reminder: it’s still summer :) My new felt pincushion with appliqués on sea theme – adorable part of summer and nice decor for your workroom and home. More photos in my shop. 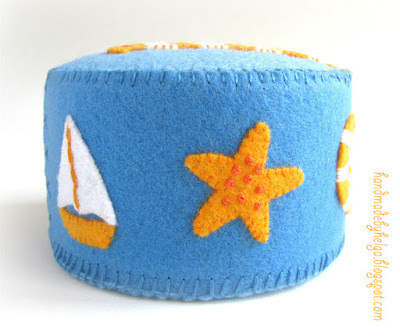 It is so like the beach, a cute creation.